Honey, DEFINITELY DO. Make popsicles! It’s POPSICLE WEEK! Thank you, Billy. This is the second year that I’ve had the privilege of participating in this most wonderful of web-wide holidays – last year I went creamy and then creamier with homemade Dark Chocolate Pudding Pops (whoa) and Date Shake Popsicles (whoaaaa), so this year I’m going light, fresh, and fruity. It’s been hotter than hot so far this summer – the blueberry bush in my garden has basically fried to death, and my lawn is the color of Justin Timberlake’s old hair. I’ve been craving cooooool. Icy. Sour. GREEN. 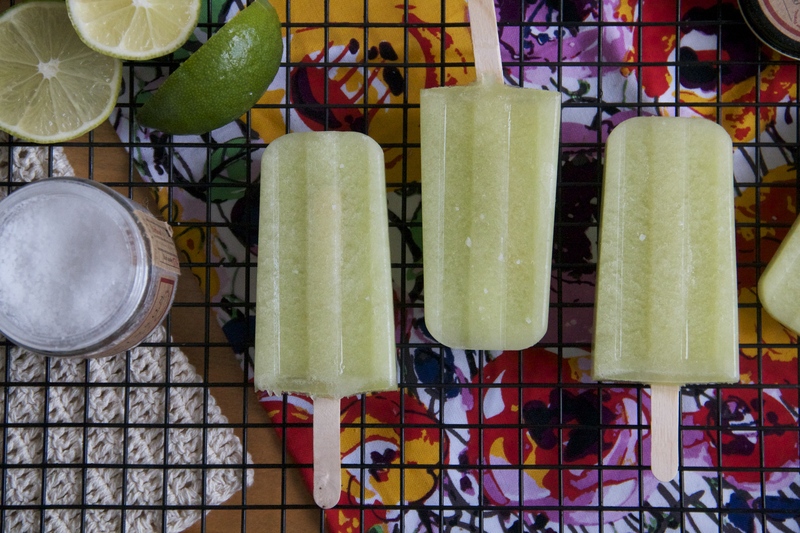 Honeydew agua fresca popsicles! They fit all criteria. They’re subtly, melon-y sweet, plenty tangy from a healthy dose of lime juice, and the prettiest shade of palest green. Plus they’re only 2 ingredients! So breezy! So okay, these aren’t technically true agua fresca pops because they don’t have agua in them, but I didn’t want to dilute the melon flavor by watering down the mix. The flavor is still on point. If your melon isn’t that sweet, go ahead and add 1 tablespoon of sugar into the mix. Also, I like to sprinkle a tiny bit of salt on the pops before serving to really bring out the flavors (and make the pop taste like my favorite snack, chunks of melon squeezed with lime and a pinch of salt), but if you’re not into that idea then go ahead and skip it. Happy popping! In a blender or food processor, blitz the melon and lime juice until very smooth (if using sugar, go ahead and blitz that in, too). 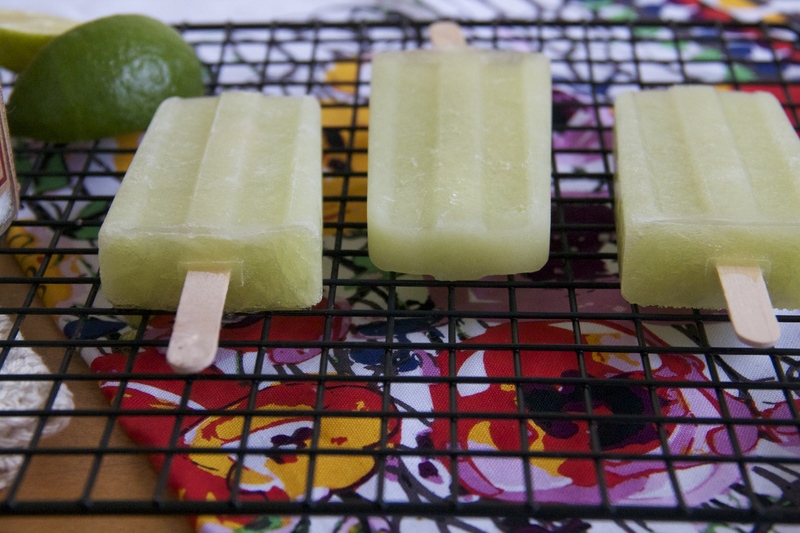 Pour the thick juice into popsicle molds and freeze. 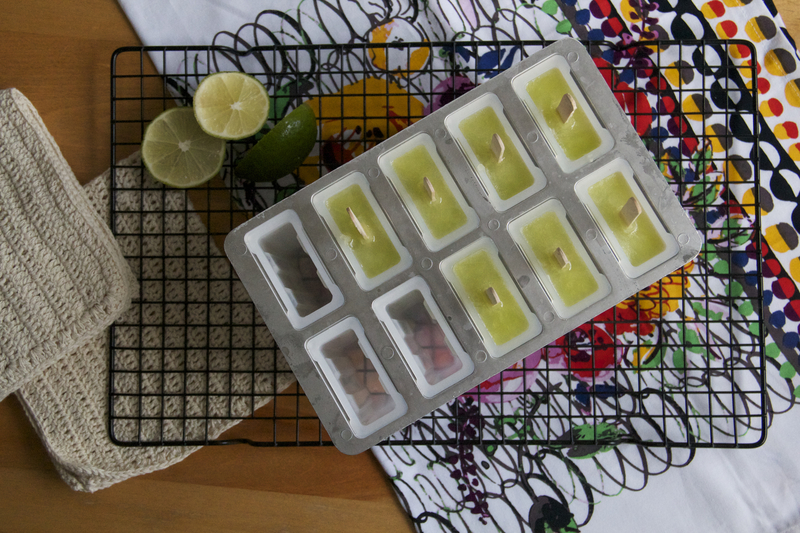 To remove the popsicles, run the molds under warm water until the pops loosen a bit. Sprinkle a pinch of salt on each pop before serving. These look soooo refreshing and summery!! Must make! 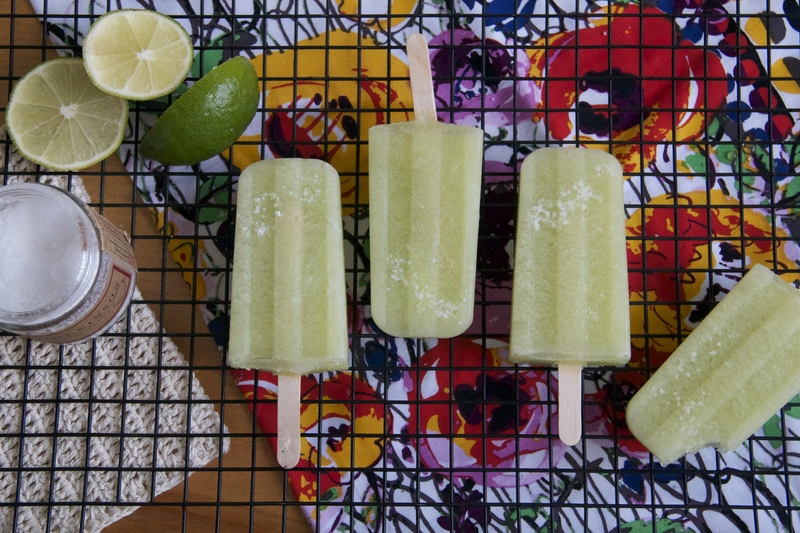 have to say that i’m glad these aren’t truly agua fresca pops- i’d much rather be drowning in melon than wondering where it went. These sound yummy and refreshing. Mmmm. 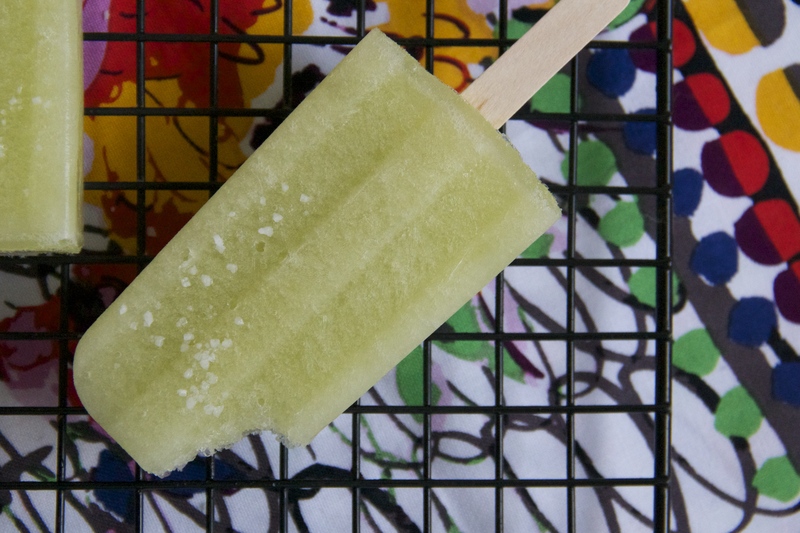 I’ve made popsicles before, but they always come out of the freezer rock-hard, like ice cubes. Commercial popsicles have a softer texture. How is that done? What ingredient can I add to soften the texture? Thanks Bonnie! I think commercial pops are softer because they include LOTS of sugar (and probably a few chemicals, too)… maybe adding more sugar would help? This is the perfect pop for those hot summer days. I love the idea of a pinch of salt on each pop! These look awesome. Love that green color!